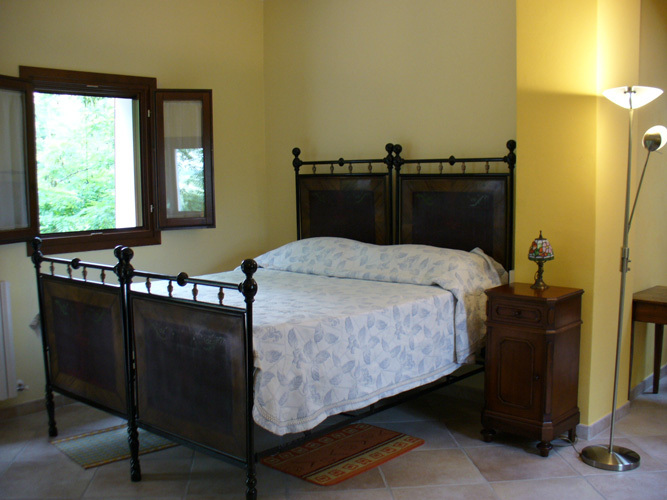 Our tranquil bed and breakfast is an ideal getaway or the perfect stopover if you are planning a hiking, cycling or driving tour of Northern Italy. We are located within one of Italy’s most famous national parks, Prati di Mugnano, just 20 minutes drive from Bologna, the gastronomic capital of Italy. Our country house, which takes its name from the surrounding hill country, lies just off the famous Millemiglia road, a mecca for classic car owners (http://www.1000miglia.eu/index-en.php). The house itself dates back to the end of the nineteenth century and is modelled on an ancient farmhouse structure which is typical of the architecture of this region. 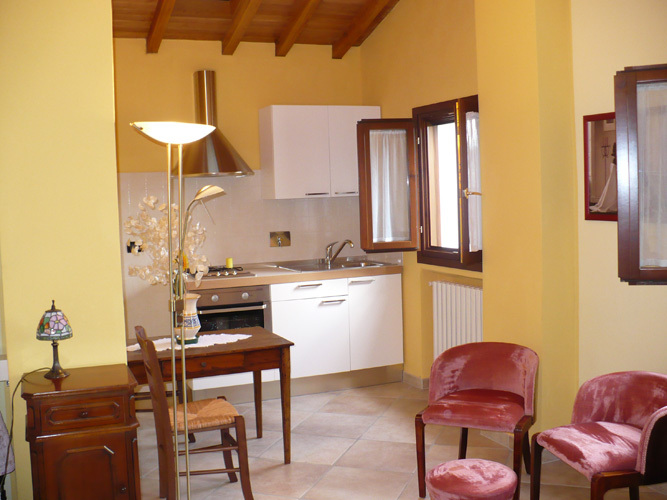 The accommodation is also unique in that it provides visitors with the privacy of two self contained units which have recently been refurbished to reflect the traditional style and charm of this region giving visitors a truly authentic Bolognese holiday experience. 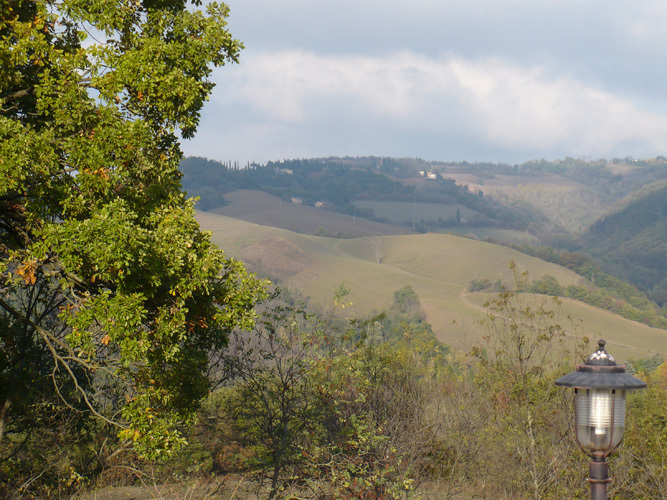 Both units have broadband and TV, en-suite facilities and boast stunning views of the Emilia Romagna countryside. 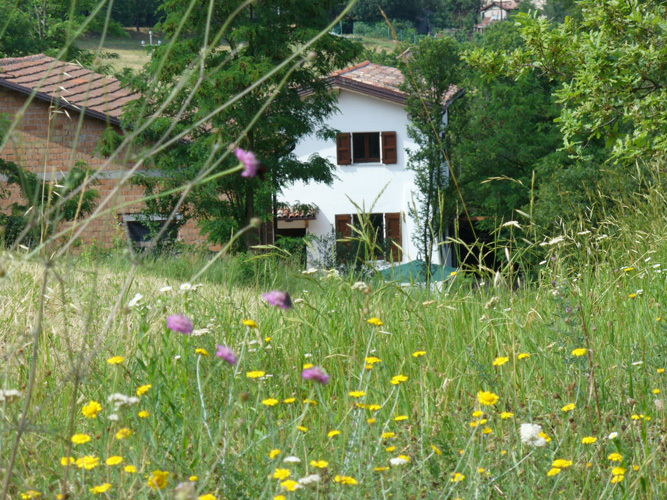 For tourists travelling through the rolling hills of this region our B&B is in the perfect location for a short break or for a base whilst you explore some of the most famous historical and artistic cities of Emilia Romagna. Florence is only 50 minutes away by car whilst the Unesco Heritage city of Ferrara and the beautiful mosaic city of Ravenna are just one hour away. The hills of Prati di Mugnano are amongst the most historic landscapes in Italy. Not only is it an important site for wildlife and conservation containing examples of natural countryside which have survived for hundreds of years but the site has retained many ancient geological features, including prehistoric mounds and a Roman road – ‘Via degli Dei’ (the Route of the Gods)! (http://www.inntravel.co.uk/holidays/walking-holidays/italy/tuscany/from-bologna-to-florence). The ancient stone road of Via degli Dei links Bologna with Florence through a network of heritage trails, ancient drovers’ roads and mule tracks which wind through beech woods and along broad, grassy ridges between rugged peaks named after the Gods. This historic and inspirational pilgrimage is one of the most stunning walks in Italy and takes approximately four days. Prati di Mugnano is situated at the half way point. Whether you are visiting our region for business or pleasure, we would be delighted to welcome you!